The ACHS swim team competed in the program’s first home match ever last week against Fort Knox and Hardin County Schools at the LWC Holloway Health and Wellness Center Natatorium. Coach Turk Dogruyol was excited to announce that all of the ACHS swim team finished with their season best times in each of their events; a great accomplishment for such a young and new team. It is normal for an inexperienced team to be out of the loop during their first few meets, but Coach Turk is also very pleased that each swimmer logged their best times of the year in each event they competed in. ACHS junior Camellia Pearson finished in first place in the 100 breaststroke while her younger brother, Garren, turned in a regional cut time in the 500 freestyle. In order to compete at regionals in the 500 freestyle, swimmers must beat a time of six and a half minutes; Garren easily qualified by finishing with a time of 5:50. “We are already getting a taste of success and we just have to keep working and building off of each practice and each meet,” says Coach Turk. The Indians next home swim meet is set for Thursday, Dec. 7 at 5:30 p.m. at the Holloway Health and Wellness Center Natatorium. 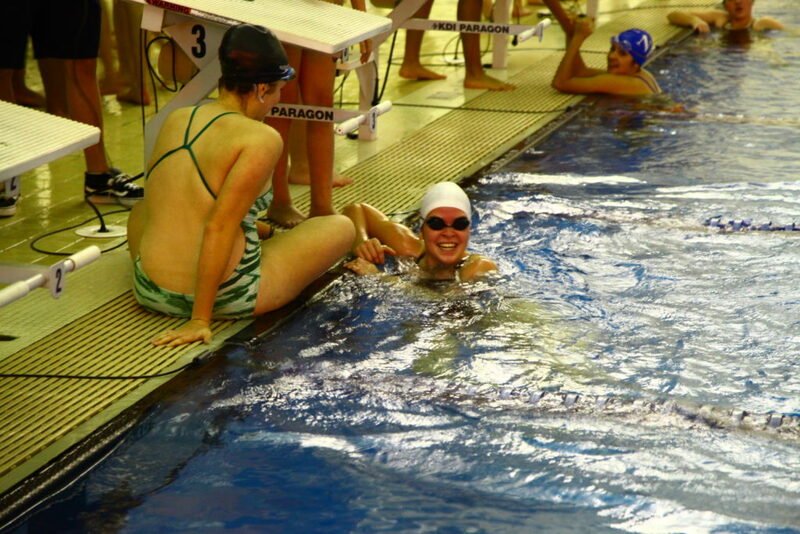 ACHS Junior Camellia Pearson was all smiles following the first ever ACHS swim team match. Pearson placed first in the 100 breaststroke during the meet. 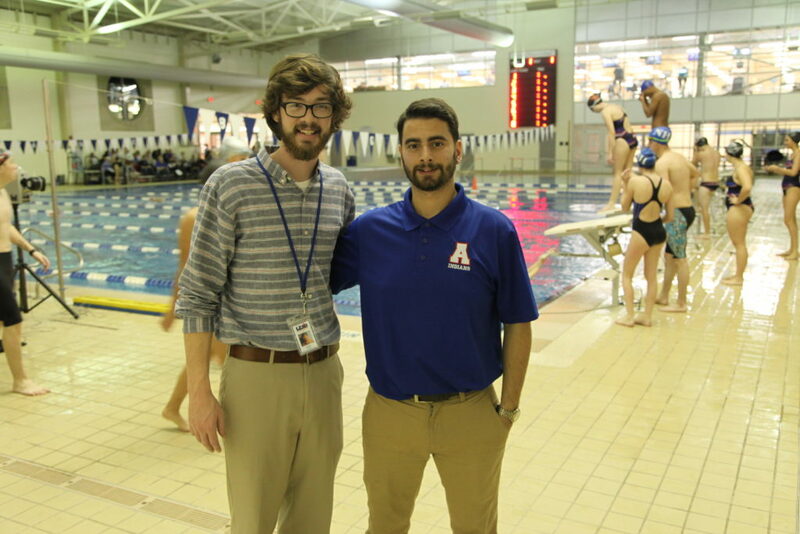 ACHS Swim team coaches Nick Coe and Turk Dogruyol at the swim program’s first home swim meet. 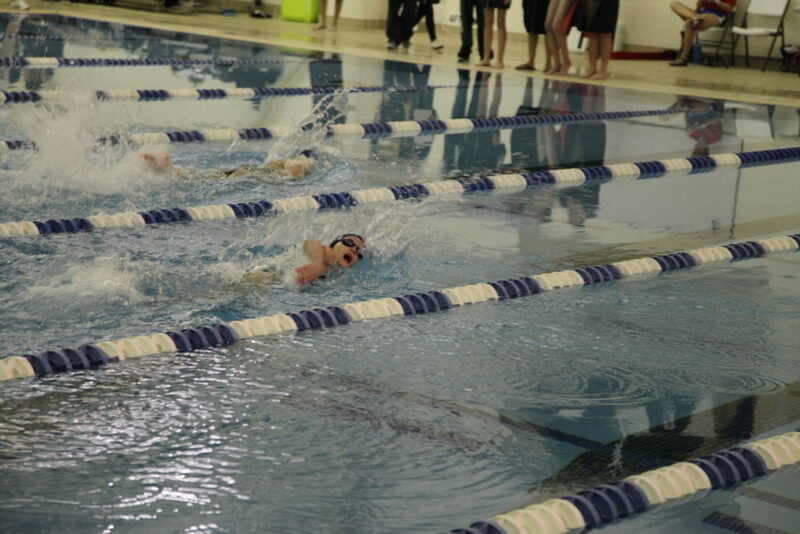 ACMS seventh grader Patience Grubb competed in several events last week during the team’s first swim meet.